QuickBooks is the #1 accounting software in the US and by integrating with RepairQ, QuickBooks Online users are able to automatically sync their journal entries. Reduce errors from manually exporting and importing your accounting journals and have RepairQ with QuickBooks Online automate that process for you. With QuickBooks Online and RepairQ, you will be your accountant’s new best friend. Keep your business in focus. Experience the full power of RepairQ with a free LIVE demo. 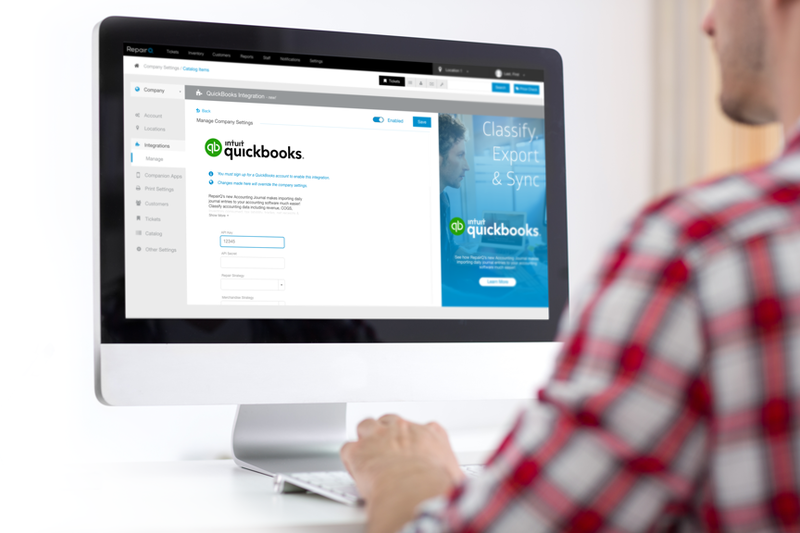 Take QuickBooks Online for a spin and see why it is the #1 Accounting Software in the US. After your 30 day free trial, you have access to 50% off your first six months!